Your challenge is our business. Eastern Pennsylvania, New Jersey and beyond. Our clients include a wide range of businesses and organizations. Our culture is grounded in a commitment to our community. If you’ve shopped at an outside mall, ridden a roller coaster, gone to the hospital, talked on your cell phone, attended a hockey game or eaten at a high-end restaurant in the Lehigh Valley, chances are we had a part in its development. For nearly 30 years, we have provided legal services to businesses and individuals while helping establish the business landscape of the Lehigh Valley. "In my book, Mr. Bubba and his colleagues at Fitzpatrick Lentz & Bubba rank nationally in expertise in the healthcare arena." "Not only is Fitzpatrick Lentz & Bubba a professional legal practice, it is an organization that places importance on the people factor. That extra “personal touch” is one of the reasons we have retained their services for almost 20 years. " 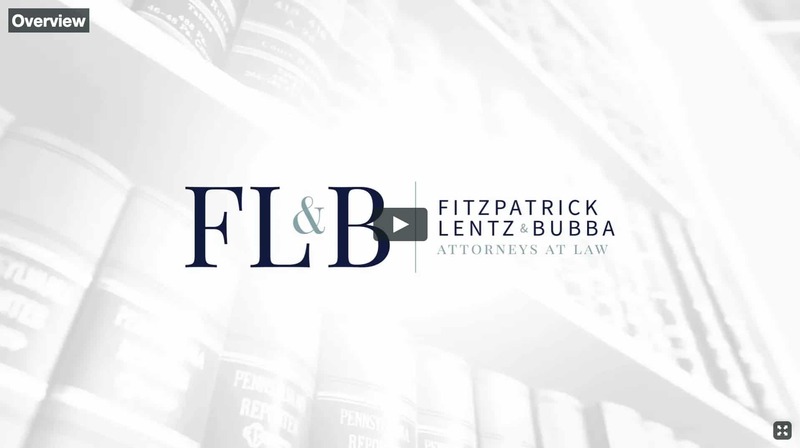 "In addition to the traditional legal services that have been provided, Fitzpatrick Lentz & Bubba has been very progressive and forward thinking in the area of risk management and protecting the assets of our corporation. Without hesitation, we would recommend them to any organization." Treasurer, Precision Roll Grinders, Inc.